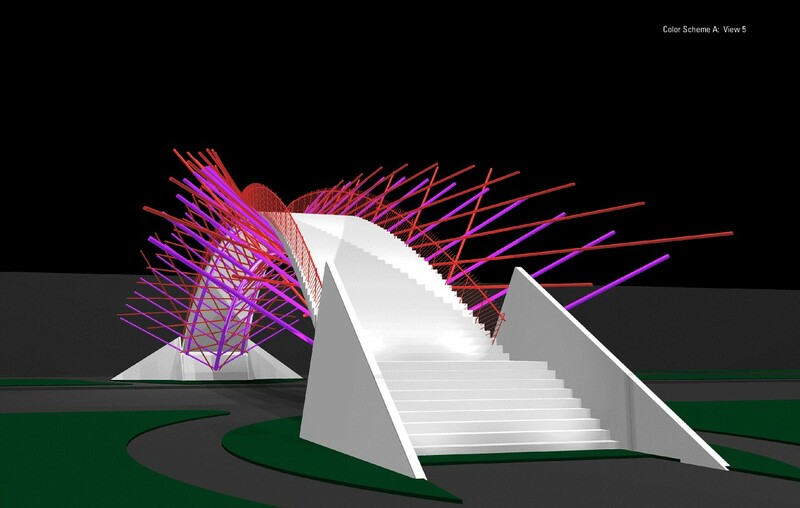 Ed Carpenter’s Market Street Pedestrian Bridge for San Antonio, Texas suggests imagery of local desert flora while incorporating themes of light and color interwoven throughout the Convention Center expansion architecture. 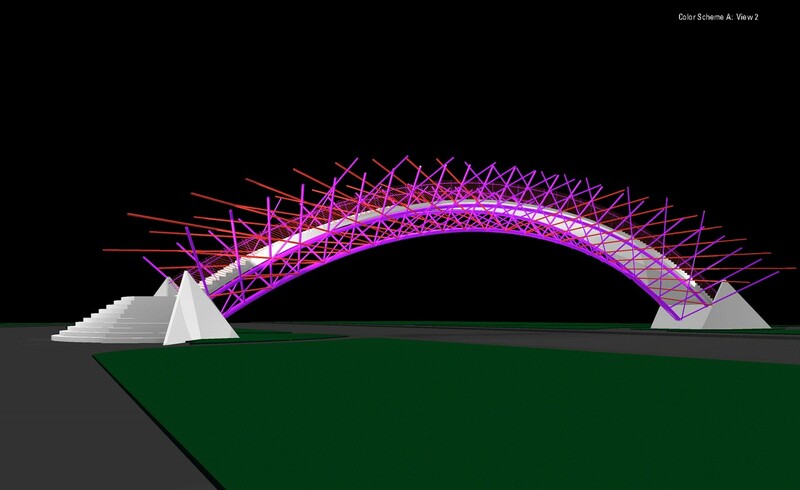 The bridge uses an expressive painted steel truss to recall rays of light, sprays of water, and exotic southwestern plant life. 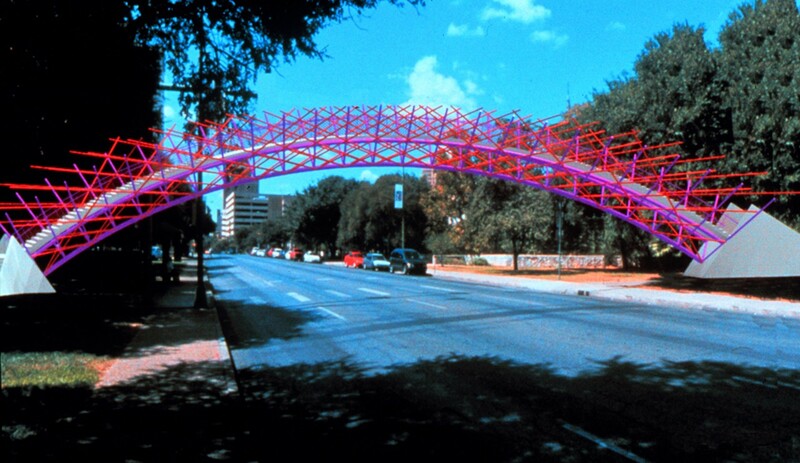 It was designed as a unique and exuberant expression of the spirit of San Antonio while providing safe passage from the River Walk across four lanes of busy Market Street to the Convention Center. 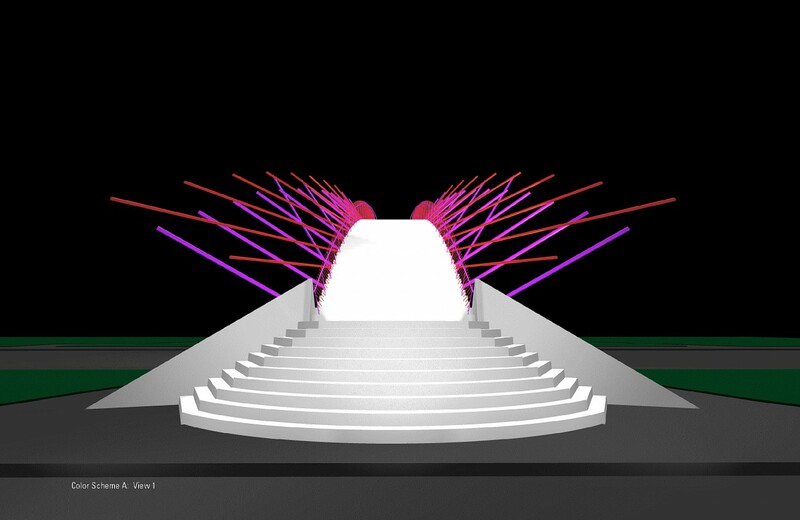 Although this design was the winner of a national competition, it will not be built because of opposition from a historic preservation group.